Hands-on ideas, activities, and tips for supporting children's literacy development. What’s a literacy coach, anyway? Tracey Fritch is a reading specialist and literacy coach in Delaware County, PA. She and her husband are the proud parents of two elementary-aged children. The title of this blog comes from a nickname given to her by her first boss while working as a literacy coach – it was a running joke, since she was the ONLY literacy coach at that time! 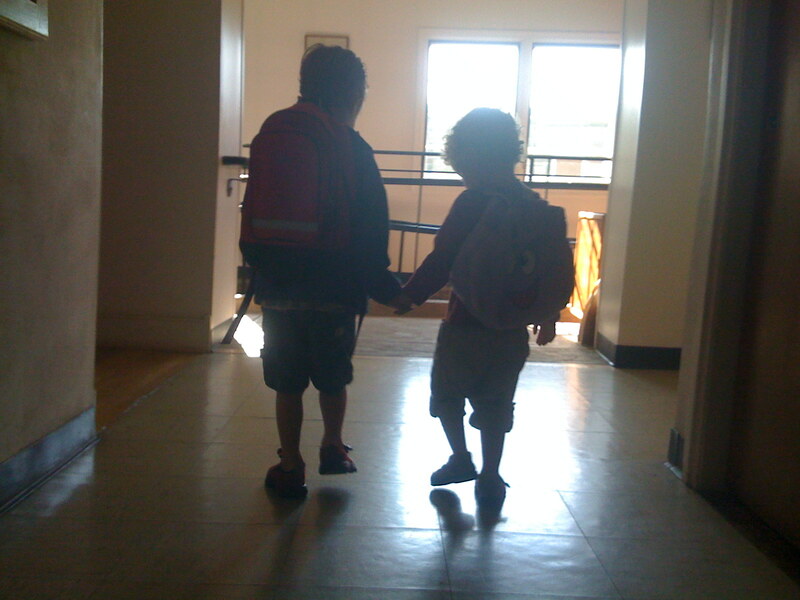 This is Tracey’s son, on the first day of his last year of preschool – showing her daughter the way in, on the first day of her first year of preschool….